Save your valuable customers from weather effects while creating a lasting impression about your brand on their minds with the 60" Arc Splash of Color Golf Umbrella. This customizable umbrella makes a nice accessory for anybody interested in going around during bad weather. 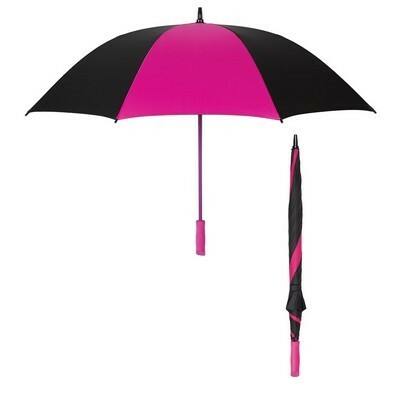 It is designed to provide enough coverage for yourself and the belongings. 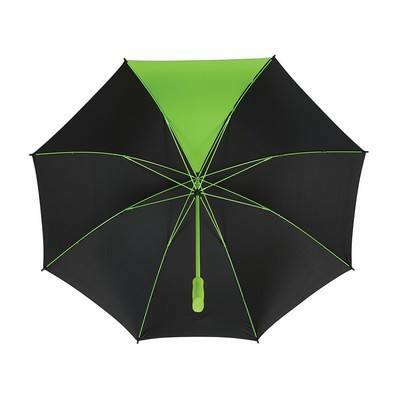 It features a black pongee material canopy with a single colored panel available in variety of color options. It has a manual open mechanism. 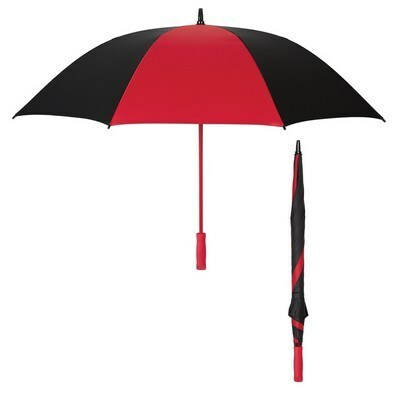 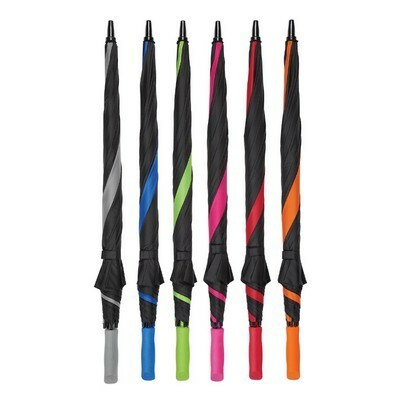 The umbrella comes with a metal shaft which matches the color panel. Special fiberglass frame and EVA foam handle add to the convenience and durability. 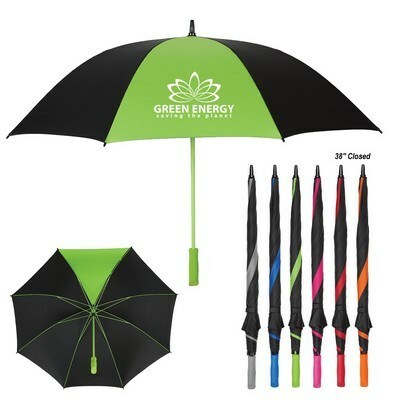 Add your business logo and marketing message to ensure brand awareness with this promotional gift.